The Fund intends to achieve for its participants total return through a combination of current income and long-term capital appreciation by investing in listed companies that have high dividend yields or have established a history of dividend payouts.The Fund aims to provide returns in excess of the Philippine Stock Exchange Index (PSEi). It is suitable for investors with an aggressive risk profile. This Fund is available under the Regular Subscription Plan (RSP). Click here to know more about the RSP. All funds/products managed by BPI Asset Management and Trust Corporation are Trust and/or Investment Management Funds. These are NOT DEPOSIT products and are not an obligation of, or guaranteed, or insured by BPI Asset Management and Trust Corporation and are not insured by the Philippine Deposit Insurance Corporation (PDIC). Due to the nature of the investments, yield and potential yields cannot be guaranteed. Any income or loss arising from market fluctuations and price volatility of the securities held by the Fund, even if invested in government securities, is for the account of the investor. As such, units of participation of the trustor in the Fund, when redeemed, may be worth more or be worth less than his/her initial participation/contribution. Historical performance, when presented, is purely for reference purposes and is not a guarantee of future results. The Trustee is not liable for losses, unless upon willful default, evident bad faith or gross negligence. Trustors are advised to read the Declaration of Trust, which may be obtained from the office of the Trustee, before deciding to invest. BPI Asset Management and Trust Corporation (BPI AMTC) is a subsidiary of the Bank of the Philippine Islands. 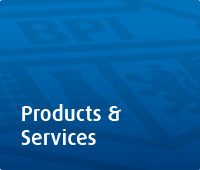 For any inquiries and complaints relating to our services and products, you may call our hotline: 89-100, send an email to bpi_asset_management@bpi.com.ph or write a letter addressed to BPI Asset Management and Trust Corporation - Consumer Protection, 17F, BPI Building, Ayala Ave. cor. Paseo De Roxas, Makati City, 1226.